In order to understand how asbestos fibers cause cancer, it is necessary to understand what cancer is and how cancerous cells affect the body. When a person develops cancer, healthy cell division is affected whereby the growth of cancerous cells is made possible. Each patient is unique, and their body handles the effects of cancer, and cancerous cell growth, differently. This is why it is imperative to see a mesothelioma specialist All types of cancer do have one thing in common: abnormal cell growth. Carcinogens, like asbestos, are any substance which can lead to the spread of cancerous cells in the body. Abnormal cell growth usually occurs as the result of healthy cells becoming damaged as a result of a carcinogen. Carcinogens mutate a person’s DNA, which in turn cause the abnormal production of cells. As in the case of mesothelioma, it may take years for a carcinogen to have an affect on cell production. Healthy cell division can be affected by a person’s heredity or by carcinogens. Mesothelioma is strictly caused by carcinogens. Understanding the behavior of healthy cells can shed light on how asbestos disrupts this process. Normal cells grow through a cell division process known as mitosis. During this process, a cell divides into two different cells with identical sets of genetic material, known as DNA. This is how cells reproduce. Normal cellular growth stops after division occurs a certain number of times because they are programmed to do so. Somatic cells (non-reproductive) usually divide about 50 or 60 times. Once cells reach this limit, cells undergo a process called apoptosis, which is basically cellular suicide. This whole process, from the first cell division to apoptosis, is called senescence. In order to control the number of cells being generated, healthy cells signal each other using tiny protein molecules called cytokines. These are produced by cells in the immune system. They allow cells to communicate with each other to regulate cell production. Simply put, they tell cells to produce more cells when there are too few cells and slow down production when the number of cells gets too high. Cancerous cells do not do follow the same process as healthy cells. They do not submit to senescence or apoptosis. Cancer cells are not capable of communicating with other cells, and as a result they never receive chemical signals to slow down growth. Cancer cells lose the sensitivity to the anti-growth hormones. 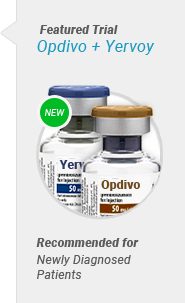 The combination of uncontrollable cell division and lack of apoptosis results in dangerous tumor growth. This is also why tumors can grow back after they are removed and cancer can come out of remission. Cancer begins when the DNA in certain cells mutates, affecting normal cellular division and lack of communication between cells. This mutation is caused by carcinogens, which are any substance known to directly alter cellular production (senescence) or damage genetic material. Once mutation occurs, these cells continue dividing. However, the means to communicate between cells is disrupted, causing unchecked cell growth. Furthermore, these cells no longer undergo apoptosis. The result is the continuous division of cells that take over healthy cells. Mesothelioma develops in the same way. What sets it apart from other cancers is the carcinogen involved, asbestos. Tiny asbestos fibers lodge themselves into the lining of the lung. When the body cannot expel the fibers, the cells that make up the mesothelium envelop the fibers in an attempt to protect the body from the foreign particles. This is a process known as phagocytosis. Phagocytosis functions as immune support from not only foreign particles, but also bacteria and dead cells. This leads to the development of scar tissue and the genetic mutation of the healthy cells encasing the fibers of asbestos. Eventually, the DNA in the cells is altered by the asbestos fibers, and the healthy cells become cancerous and begin to grow. These fibers also cause scarring and inflammation. The irritation from the inflammation of the lungs can cause chest pain. The buildup of scar tissue prevents the lung from expanding fully, which causes difficulty breathing. Treatment options to manage these symptoms and improve prognosis are getting better all the time. 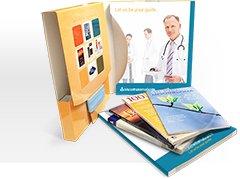 As a patient, it is important to find an experienced specialist who can explain all your options. 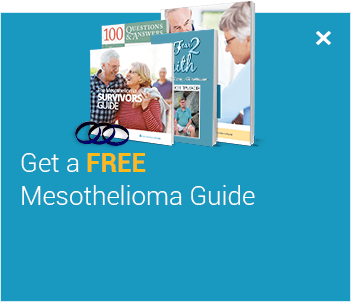 Get connected to a mesothelioma specialist using our free Doctor Match program. Unsurprisingly, asbestos can also lead to lung cancer. The lung cancer caused by asbestos is not the same type of cancer as mesothelioma, but it causes it the same way. When asbestos fibers are inhaled, they can also cause mutations in the cells of the actual lung tissue. Asbestos-related lung cancers account for about 4% of all lung cancers. This cancer affects the lining of the lungs, much like mesothelioma. The latency period for this cancer is the same as mesothelioma, about 20-40 years. Many studies show lung cancer can be detected between 30-35 years after the initial exposure to asbestos. Those who are exposed to asbestos have a far higher chance of developing lung cancer if they smoke. Smoking weakens the cilia, which are responsible for cleaning the lungs. When asbestos fibers enter the lungs, the cilia cannot clean the fibers out as efficiently. Treatment options for non-small cell lung cancer are similar to surgeries for mesothelioma. Patients with NSCLC can be treated with a pneumonectomy (entire lung removal), a lobectomy (entire lobe is removed), or a wedge section (part of the lobe is removed). Chemotherapy and radiation are frequently used on patients with non-small cell lung cancer. Asbestosis is a non-cancerous infection of the lungs that progresses slowly and makes breathing more difficult. Although it is caused by asbestos exposure, it is not the same as mesothelioma. Asbestosis patients have 10 times a higher risk of developing asbestos-related lung cancer than those without asbestosis. Scar tissue begins to build up with constant irritation from the asbestos fibers. The scarring makes it difficult to breathe and harder for oxygen and carbon dioxide to absorb through the lungs. Treatment for asbestosis focuses on preventing the progression of the illness and relieving the symptoms. Patients are given an inhaler or oxygen tank to help them breathe easier. Patients with extreme symptoms may be eligible for a lung transplant. 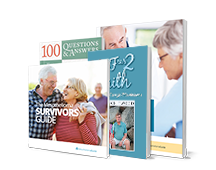 Learn more about asbestosis and its relationship to mesothelioma in our free Mesothelioma Guide. Pleural thickening occurs as a result of built up scar tissue. When asbestos fibers are inhaled, they cause scarring on the pleura. The scarring causes inflammation and this inflammation can cause symptoms similar to rheumatoid arthritis. Pleuritis can also result from asbestos exposure. This condition, also known as pleurisy, is a general term for inflammation of the lining of the lungs. Pleuritis is one of the causes of pain associated with mesothelioma. Treatment for pleural thickening or pleuritis may be limited depending on the severity of the condition. Pleurectomy is an option for patients faced with pleural thickening. By removing the pleura, the lung can expand properly and discomfort from breathing is relieved. Various risk factors determine how asbestos affects an individual. A person’s reaction to asbestos depends on how long they were exposed and the concentration of the asbestos fibers. The type of asbestos a person is exposed to can influence how disease may develop. Smoking also increases the complications of lung cancer caused by asbestos, but it does not have a direct relationship to the development of mesothelioma. People are more prone to develop asbestos related diseases when they are exposed to higher concentrations of asbestos for longer periods of time and when there is a higher frequency of the exposure. Most cases of lung cancer and asbestosis occurred 15 or more years after initial exposure. Mesothelioma cases tended to occur 30 years or more after the first exposure. Occupational asbestos exposure is often the greatest risk factor that leads to mesothelioma. This is supported by examining the incidence of mesothelioma. 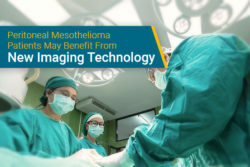 Mesothelioma incidence is far higher among men who were more likely to work in trade occupations that relied on asbestos. The incidences of mesothelioma are also more common amongst older men because of the latency period. Occupational exposure in military service also leads to a large percentage of mesothelioma cases. For a long time, asbestos was prevalent through all the branches of the military for its insulating properties and affordability. Both men and women veterans have a higher incidence of mesothelioma than those who never served in the military because they were exposed to asbestos on a virtual daily basis. 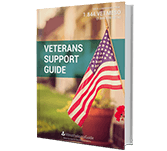 Learn more about veteran-specific treatment and benefits in our free Veteran’s Support Guide. 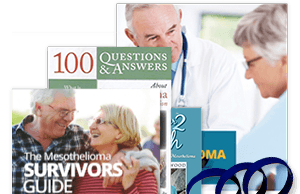 Most patients weren’t aware of the risk factors that caused their mesothelioma when they were exposed to asbestos. This is why there are several methods of compensation to support these patients. 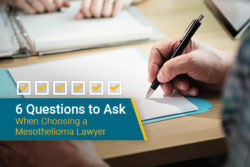 Learn more about getting mesothelioma compensation. Malignant Mesothelioma Risk Factors. American Cancer Society. Retrieved from: http://www.cancer.org/cancer/malignantmesothelioma/detailedguide/malignant-mesothelioma-risk-factors. Accessed: 10/10/18. Health Effects. ATSDR. Retrieved from: http://www.atsdr.cdc.gov/Asbestos/asbestos/health_effects/. Accessed: 10/10/18. What are Asbestos-Related Lung Disease. NIH. Retrieved from: http://www.nhlbi.nih.gov/health/health-topics/topics/asb/. Accessed: 10/10/18.